Robert C. Doekel, Jr., M.D. Dr. Doekel is the Medical Director of the Sleep Disorders Center of Alabama. Along with G. Vernon Pegram, Ph.D., Dr. Doekel founded the first accredited sleep center in Alabama, which was one of the first dozen clinical sleep centers in the entire United States. 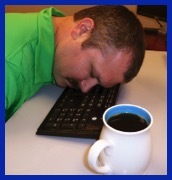 Part of his responsibilities is to see that our center is accredited by the American Academy of Sleep Medicine. He has also participated in the accreditation of other sleep centers in Alabama and throughout the United States. Dr. Doekel is Board Certified in Internal Medicine, Pulmonary Medicine, and Sleep Medicine. 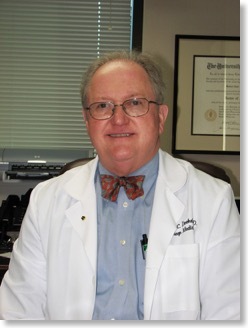 He received a Bachelor of Science from Eastern Kentucky University, and his M.D. from the University of Louisville. He served a residency in Internal Medicine at University of Alabama at Birmingham as well as served a Pulmonary fellowship at UAB and the University of Colorado Cardiopulmonary Research Laboratory. Dr. Doekel is a licensed M.D. and a Diplomat of the American Board of Sleep Medicine (ABSM), Certified in 1978.